Which is better for weight loss, Green Coffee or Green Tea? Which is better for reducing fat, green coffee or green tea? There are a number of ways to shed extra pounds off your body. But only some of them actually work. Some methods require a lot of physical labor, time and money while others are straightforward and easy. So, how will you choose what works for you? Well, it is better to go for the easier one. These options don’t require you sweating in the gym for hours or starving yourself, instead, they focus on adding a diet supplement to lose weight. The two most famous beverages for weight loss are green coffee and green tea. These two drinks are probably the most popular drinks in the health and fitness industry due to their unbeatable ability to help in weight loss. Both of them indeed are the most comfortable options to lose weight. Deciding between both of them is again a challenging task. This article will give you a whole lot of information about the health benefits, and the disadvantages of the two beverages. Green tea is one of the oldest beverages. It has been consumed for thousands of years and is consistently lauded for its health benefits. Green tea is made from the stem, leaves, and buds of a plant named as Camellia Sinensis. Unlike regular tea, green tea leaves are steamed at high temperatures and are not fermented. Steaming enhances the polyphenols present in them. Polyphenols are naturally occurring chemicals found in beverages. 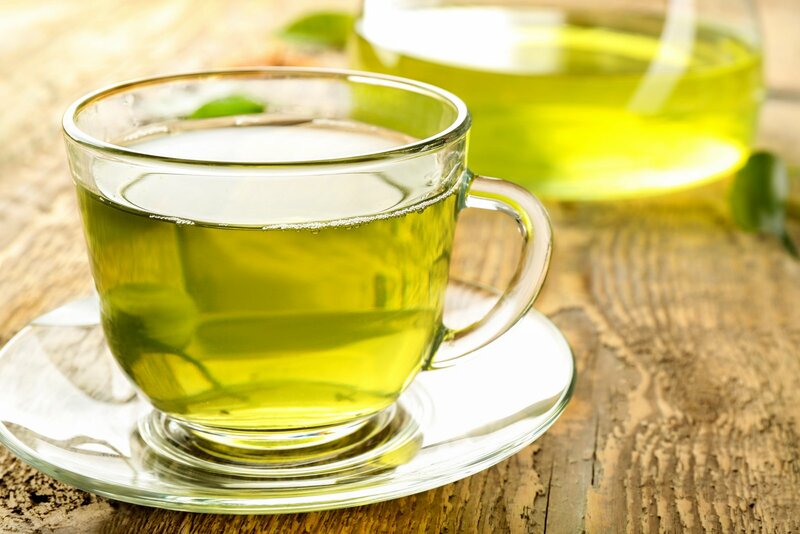 The main active antioxidant ingredient in green tea is ‘Catechins.’ And if you’re conscious about the calories, then you would be happy to know that green tea contains zero calories. Let’s see how a cup of green tea can give your health a boost! Green tea helps to fight anxiety and stress. It contains a unique amino acid which enhances the mental health and modulates the brain function. It also has calming effects and reduces stress without causing drowsiness. Green tea also has anti-infective properties and acts as an antiviral agent against viruses. It also lowers the risk of diabetes. It has the potential to reduce the insulin concentrations in the body. Studies have proved that drinking green tea reduces the risk of cardiovascular diseases. The antioxidant compound catechins are present in green coffee which is responsible for controlling the blood pressure and prevents heart strokes as well as coronary heart diseases. Green tea helps you live longer. It improves your overall health and slows down the process of ageing. Once a study was conducted in Japan with 40,000 adults, it was noticed that people who drink 5 or more cups of green tea a day lived longer. The Catechins in green tea also helps in increasing metabolism level in the body. Drinking green tea before exercising increases the amount of fat burning in the body. It also improves glucose tolerance in the body. As green tea contains some amount of caffeine, it can cause severe problems for people with caffeine sensitivity. Also, a large amount of caffeine can cause a lot of problem such as insomnia, anxiety, nervousness, etc..
People who take blood-thinning medication should completely avoid green tea. The presence of vitamin K in green tea is what makes it unsuitable for people on various medications. The raw, unroasted seeds of arabica coffee plants are called green coffee. Green coffee is not as old as green tea. It just came into notice when Dr. Oz talked about it on his show. It was believed that green coffee could help in weight loss without changing the diet and exercise. This theory was proved in a study conducted by National Cent of Biotechnology. It was also established that green coffee has no side effects. The main active antioxidant compound working in green coffee is chlorogenic acid. The normal coffee lacks this compound due to the roasting process. This compound is the reason, why green coffee can help in losing weight. The chlorogenic acid assists the liver in digesting stored fats and prevents glucose from entering the bloodstream. This speeds up the weight loss process in the body. The caffeine present in the green coffee boosts the energy levels. The chlorogenic acid enhances the metabolism in the body. Green coffee helps in maintaining your younger look for a longer period. The compounds named Epigallocatechin Gallate, Theophylline, etc. helps the skin keep the original glow on the face and reduces the wrinkles. Stress is also one of the main reasons why people gain weight. Green coffee helps here as well. Chlorogenic acid controls the cortisol (stress hormone) level in the body, thereby, reducing the street levels. Green coffee also reduces blood pressure and controls bad cholesterol in the body thus preventing from cardiovascular diseases. Presence of caffeine again is one of the main problems with green coffee. And as it is said anything in excess is bad, no matter how healthy food is. Excess intake of caffeine can cause sleeping disorders, headache, irritability, anxiety, etc. Green coffee is not suited for pregnant ladies or nursing mothers. Also, people on any kind of medications should always consult a doctor before starting with green coffee. Comparing these two beverages is a tough task. Both of them have some surprising health benefits. Both of them help in boosting metabolism, slow down aging, reduces blood pressure and most important help in weight loss. 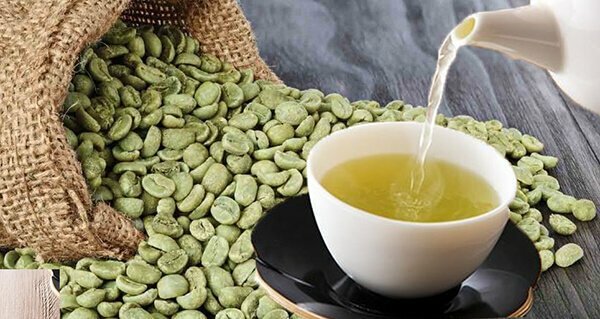 The only point which makes green coffee the king of weight loss treatments is that it doesn’t require any changes in the daily diet plan and workout sessions. Green tea may have some side effects, but green coffee has none. However, which one to choose, depends upon you and your taste. If you have any doubts or you want to share your experience with us. Do let us know in the comments section below. ⟵Does green coffee really help in reducing fat?